too bad Heine wasn't here too long >_< never gonna forget him! nice wallpaper, you chose just the right color (orange XD) and very nice scans! cool composition! i might download a new winxp theme for my new favorite wallpaper!!! awww i think u out beat my heine wall!! lmao the colour concept is the same! lol for a sec. i thought this was mine! lol go on my page to check it out! 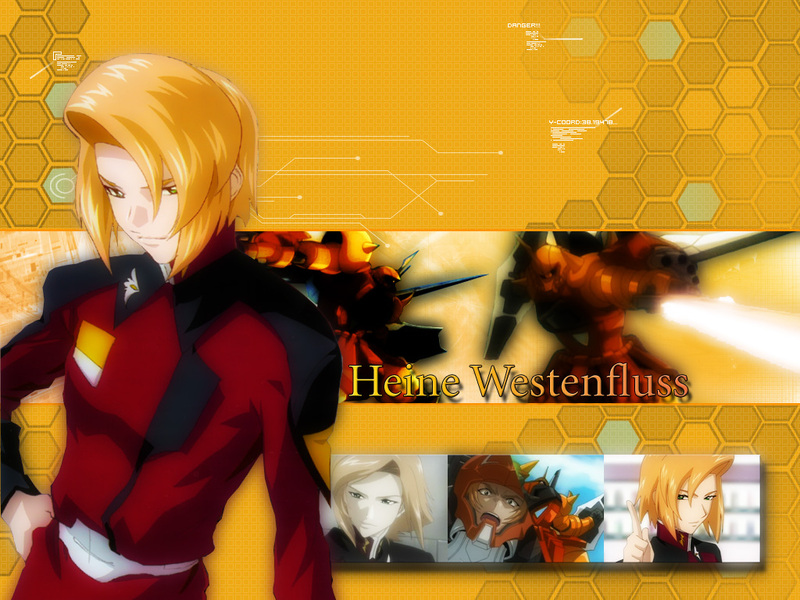 he is the one who always talk to Athrun but he got kill by Stellar..
heine is no memory. HES ALIVEEE! yeah. but i love this wallpaper. Thank you SOOOOOOOOOO much! haha... gotta love his hair..